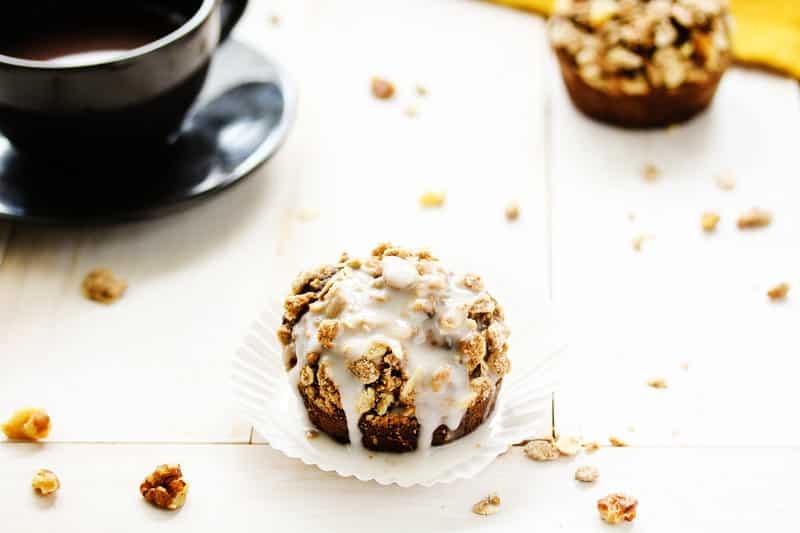 These Pumpkin Maple Crumb Cake Muffins are the perfect “welcome to the Fall” treat! 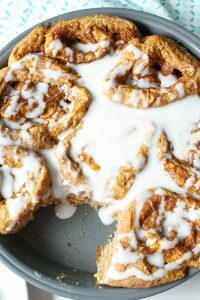 They are moist and dense and full of warm spices, making them the perfect comfort food for the cooler weather. Halloween decorations popping up in stores as soon as it hits September is a bit much for me. I don’t think they should appear until the beginning of October. But, pumpkin spice everything is more than welcome to appear on the 1st day of September! I’m obsessed…and it’s a problem. 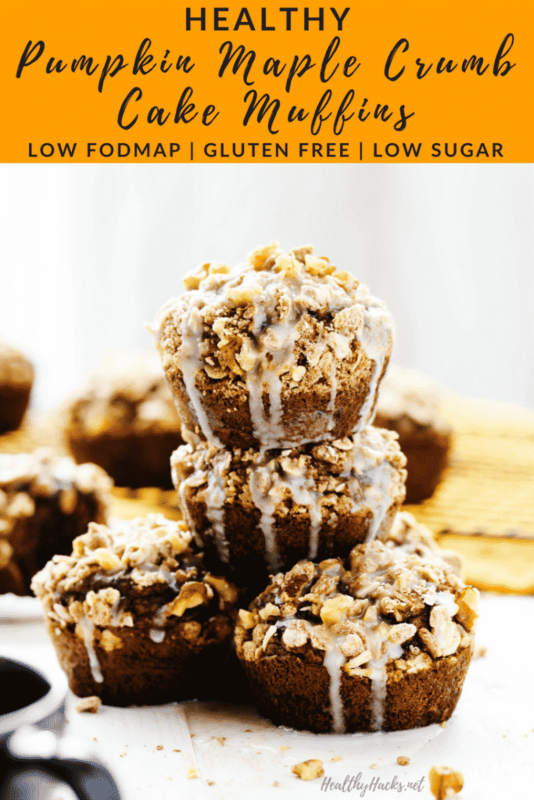 This recipe for Pumpkin Maple Crumb Cake Muffins may be the first pumpkin recipe of the season, but it surely won’t be the last! Pumpkin is full of fiber, vitamin A, and antioxidants, besides being naturally sweet and delicious tasting. 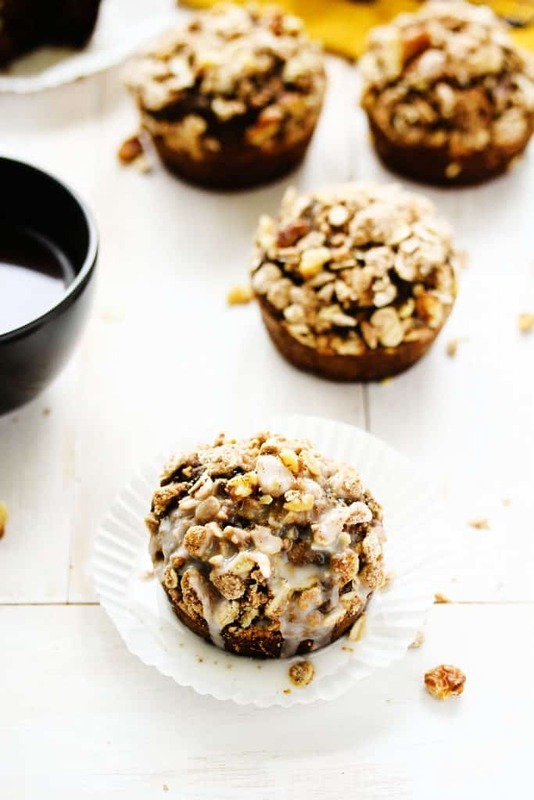 The muffins are moist and dense and packed with warm, Fall-y spices. They’re not overly sweet, either. 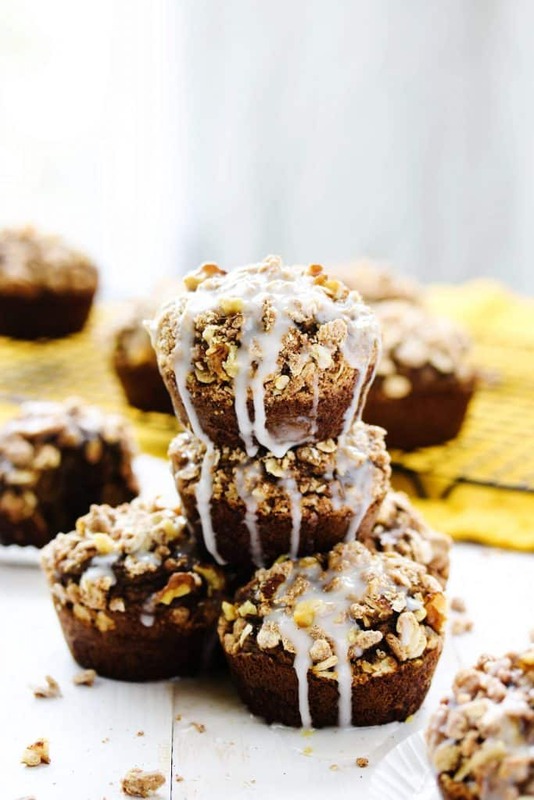 But, to contrast the soft, smooth texture of the muffins, there’s a sweet, chewy, crumbly mixture baked on top. And if that doesn’t sound good enough (though…how can it not!? ), the muffins are made all in one bowl! Yay less dishes to wash! 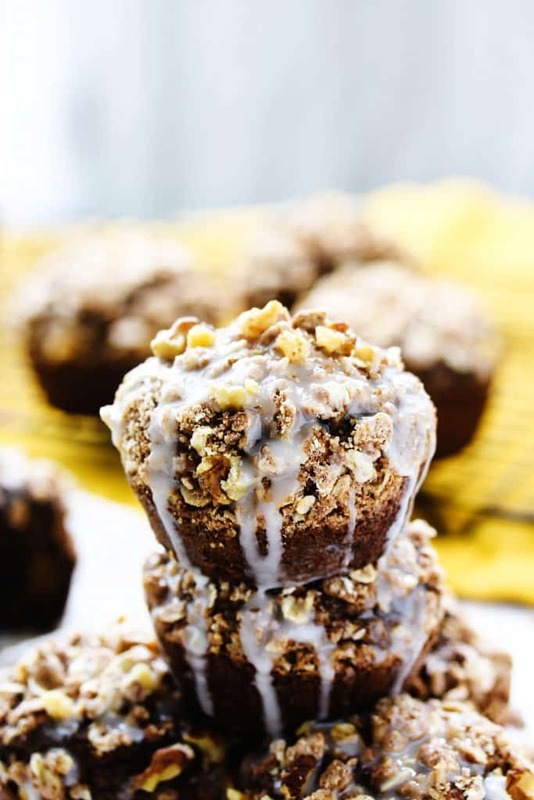 So, if you’re tempted to buy those big, puffy muffins every time you walk past a coffee shop or a bakery, now you’re all set to make your own! These are just as delicious, but wayyyy better for you. WIN-WIN! Preheat the oven to 350 F and grease a 12 cup muffin pan. 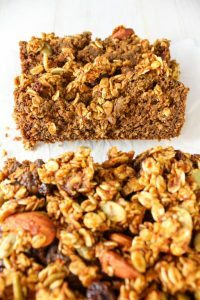 For the crumb topping: in a small bowl, mix all the incredients together until a crumbly texture forms. Set aside. For the muffins: in a large bowl, add the eggs and brown sugar. Whisk together until well incorporated and there are no lumps (about 2 min. by hand). Add in the pumpkin puree, maple syrup, water, and vanilla extract. Whisk together until smooth. Add the buckwheat flour, tapioca flour, cinnamon, allspice, ginger, nutmeg, baking soda, baking powder, and salt. Stir together until all the dry ingredients are incorporated and there are no lumps. 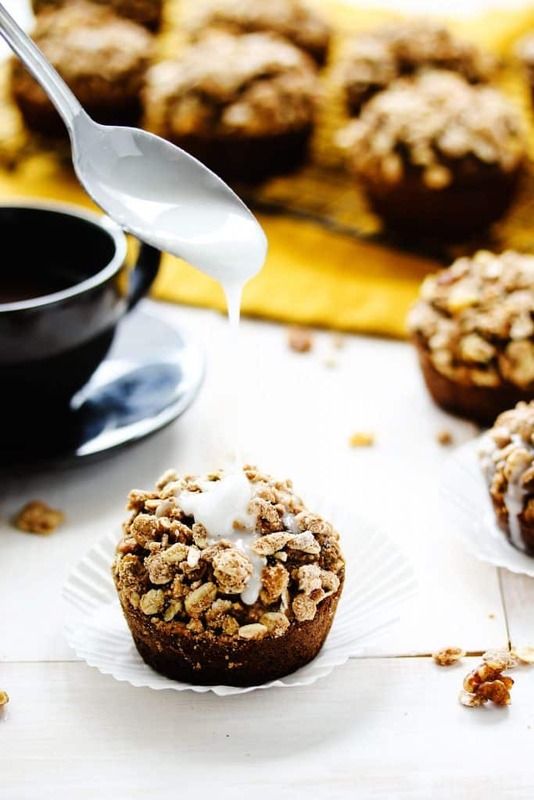 Sprinkle the crumb topping evenly onto the batter of each muffin cup. Lightly press the crumb topping into the muffin batter. Just enough to get it to stick. Bake the muffins for 14-16 min. or until a toothpick inserted into the center of a muffin comes out with barely any crumbs on it. Allow the muffins to cool slightly in the tin. Transfer them to a wire wrack to continue cooling.